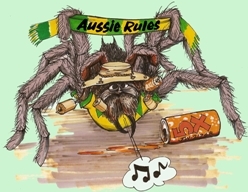 CFZ Australia caught up with one of our favourite authors, chess demon and spider expert Carl Portman this week. How did you first become interested in spiders? What is it you like about them? I hated spiders with a passion until the summer of 1994 when on holiday in Norwich, England. Whilst trying to kill yet another of the repellent beasts (this time by spraying shaving foam on it) a mental grenade went off in my head and I recall thinking ‘this isn’t logical, this isn’t a fair fight – why am I killing this animal? I resolved from that moment to try to live with spiders. I bought my first tarantula (a Chile rose called Wilma) and it wasn’t long before I found myself in Ecuador studying them. I haven’t looked back. How many eight-legged friends do you share your home with? About thirty that I know about. At my zenith I had 1500 and spent six hours a day looking after them all. That’s easy – Selenocosmia honesta otherwise known as the FAK FAK Ochre. I had one once and a taxidermist has preserved the feisty arachnid. They originate from Papua New Guinea. Spiders elicit a lot of fear and mistrust – are they simply misunderstood? They certainly are; grossly misunderstood and much maligned. There are many reasons for this but an interesting one is they don’t have a ‘face’ as such for humans to identify with therefore there is less compassion, less of the aaaah factor. Shame considering they have been around for 450 million years. You would think that they might have made more friends by now. What initiated your trip to Australia? Steve Irwin! He brought Queensland into my living room in a sleepy English village. From the moment I saw it I knew I had to go. It is a beautiful area not only of Australia but the planet. 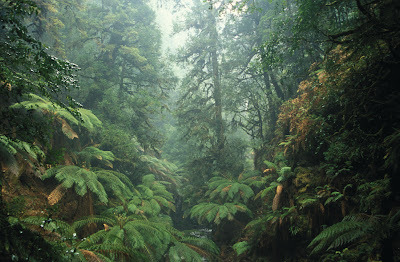 There’s such a small bit of rainforest left there – and it is the oldest one in the world at that. It is even older than the Amazon. Treasure it Australia, for I always will. Without giving away any twists, did you find your quarry – the elusive whistling spider? The Night Parrot and Tasmanian Tiger are considered ‘holy grails’ of the cryptozoological world due to their extinct status, occasional sightings and the potential that their rediscovery could tip a comeback for the species. Is there a spider equivalent? 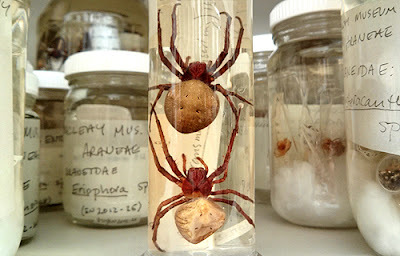 It's an arachnophobe's nightmare: in the bowels of the University of Sydney's Macleay Museum, there are more than 1100 vials of spiders collected in the 19th and 20th centuries. In a recent free public talk on Wednesday 29 May, arachnologist Helen Smith, Macleay Miklouho-Maclay Fellow 2011-12 at the Macleay Museum and Research Associate at the Australian Museum, took her audience on a journey through the collection, part of the oldest natural history collection in Australia. 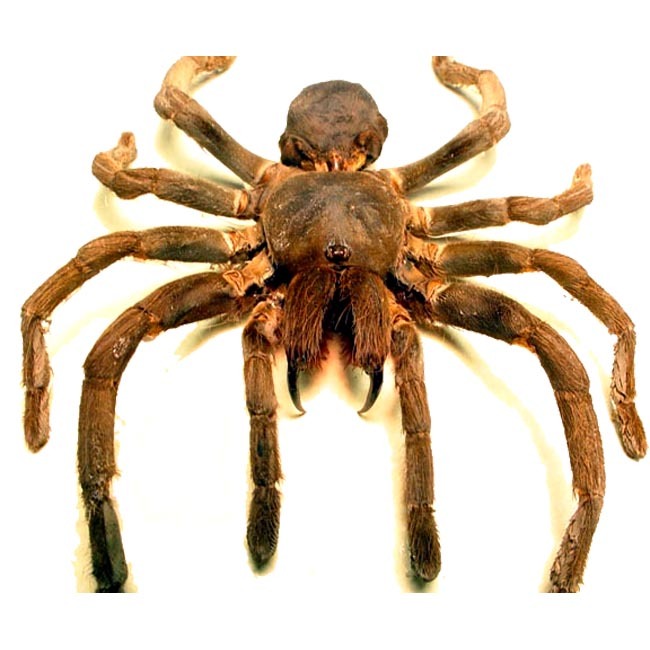 Because of the collection's antiquity, the Macleay's spiders come with their fair share of mysteries - why, for example, are small, common spiders underrepresented in the collection when there are so many large spiders? What happened to some important specimens that have gone missing in the collection? Why have we changed the way we collect and store spiders over time? Now a self-confessed spider nut, one reason Helen actually began studying spiders was to prevent her from developing a fear of them. "I was always into creepy crawlies, even as a kid, but when I moved to Australia from England I got a little bit freaked by the fact I knew there were things here that were dangerous, but I didn't know what they were," she says. "So I started looking at spiders as a way of addressing my need to know, because I wasn't prepared to be scared by something that I knew intrinsically I shouldn't be scared of, and that I hadn't been scared of before." The Macleay's spider collection is significant in the study of Australian natural history, and contains several 'type specimens', which are used as reference specimens when a new species is described. "It's significant because there's a lot of old material from the very early collectors. There's a big focus on old material collected by the Macleay family and people who collected for them," Helen says. "You get a story about how people collected and what they were looking for, which is quite different from what we do today in modern collections." Helen's interest in the Macleay collection started during her PhD, when she had difficulty finding a type specimen needed for her research within the collection. As part of her Macleay Miklouho-Maclay Fellowship, granted by the Macleay Museum, she has now catalogued the entire wet collection to make it more searchable and accessible for future research. She is also naming a previously undescribed spider she has discovered after the Macleay Museum. The Macleay Miklouho-Maclay Fellowship is named in honour of the scientific friendship of William John Macleay, for whom the Macleay Museum is named, and Russian biologist and ethnographer Nikolai Nikolaivitch Miklouho-Maclay. The Fellowship is awarded annually for study on the collection within the interests of Miklouho-Maclay and WJ Macleay. Applications for this year's fellowship close on 1 July. The Fellowship is funded by contributions from a large number of donors in 1988, the centenary year of the Macleay Museum. 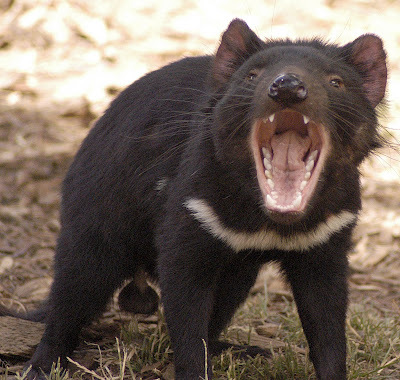 Help raise funds for the Tasmanian Devil through Black & White Day! We are calling on all schools, businesses and community organisations to get involved in Black & White Day - we hope you might be interested in helping the Tassie devils. Through the combined effort of schools & businesses around Australia Black & White Day raised over $20,000! All money raised supported key research and management programs aimed at keeping the Tassie devil alive in the wild. This year the official date for Black & White Day is Friday 24 May 2013, however you can participate on any day throughout the year – whatever works for you, your students or colleagues. Black & White Day was created by Nature Nic (Nicholas Bonnitcha) seven years ago. Through Nature Nic’s involvement Black & White Day has raised over $100,000. This is through the ongoing support of schools and businesses around Australia. • Incorporate Black & White Day as part of Endangered Species awareness and include it in the learning programme. Whatever you choose, encourage a gold coin donation. 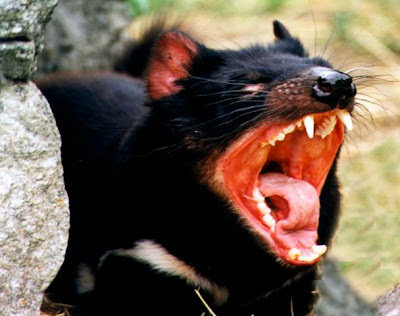 An environmental group fighting to save Tasmanian devils has secured a temporary halt to construction at a proposed iron ore mine in the Tarkine. An injunction was granted in the Federal Court on May 10, delaying work by Shree Minerals at the proposed Nelson Bay River mine. 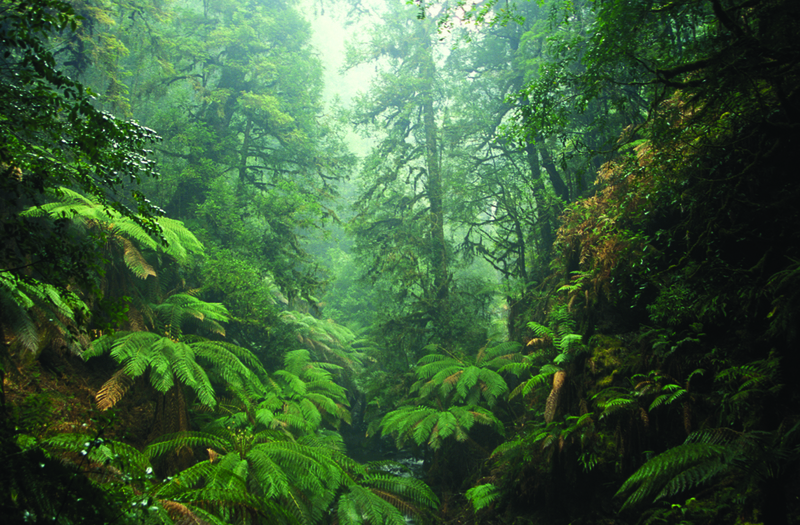 Environmental group Save the Tarkine sought the temporary injunction, arguing that it was inappropriate to start work on the mine while the legality of the project was set to be challenged in court. Read the story in The Mercury. 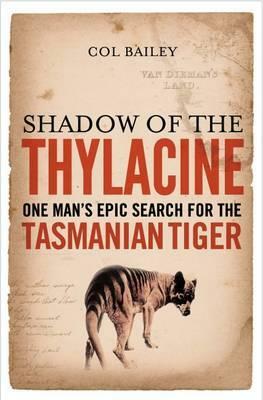 Noted zoologist Professor Mike Archer, a former director of the Australian Museum, has said despite his professional scepticism, he respects Tiger Hunter Col Bailey's theory that a population of thylacines still exists in Tasmania. In a recent interview with ABC Radio, Archer and Bailey talked about Thylacines and Col's new book, Shadow of the Thylacine, and his sighting of a Thylacine in the Weld Valley in Tasmania. "Of course I want to believe in Col's story...every fibre in me resonates along with the same view that Col has...this is Australia's king of beasts, this is the most magnificent creature Australia has ever produced," Archer said. "I feel...a sense of intense excitement that maybe somehow it has survived over the years. My scepticism, of course, and I have discussed this with Col, it is the scepticism of a scientist. It's very hard to test sightings, these are personal things...but when I know the man, like I know Col, that's not just a normal sighting, if you like, that's coming from a really credible person whose judgement I would never question. All I can say is I wish I'd been there with him." 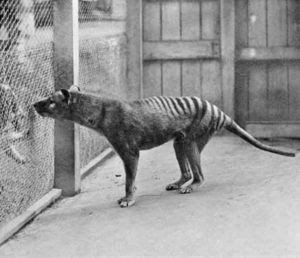 Professor Archer is hopeful of one day reviving a project to bring the thylacine back to life by using DNA from museum specimens to clone them. Is there a black panther on the loose in Pine Mountain, Queensland? That's the question locals are asking following sightings of a giant black cat after recent stock losses. "It was huge and black. 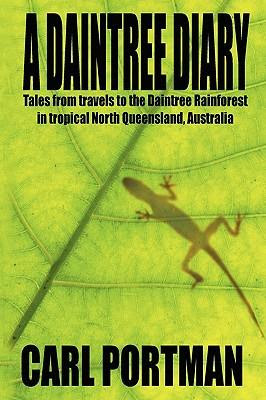 It was as long as the car is wide and it had orange eyes," she told the Queensland Times. "It was just before dark and my daughter saw it with me when we were coming home. It jumped out of the bushes, so we startled it as much as us being frightened by it. "I called it a panther right from then...but I haven't seen it since. It stood very high and had a long tail. "There was a pony farm nearby and they'd had two horses killed. That's what sparked the idea that it was a feral cat. "We found the footprints in the mud and took multiples cast of them. They were definitely of a cat...and they were very big paw prints. "I googled it and learned there had been one at Marburg and another that had escaped from a circus." In 2009 a Chuwar resident, Andy, reported seeing "an enormous black cat in the paddock next door as I stood on my back deck". "I then went to get the video camera but the cat was gone by the time I returned," he said. "When I first saw it, it was approx 25m to 30m away from me and I had a great view of it as is slinked down the paddock towards some old animal shelters. "I estimate the cat was about 1.5m long excluding its equally long tail, and probably stood 700 to 800mm tall. I have seen some big feral cats in my time but this was off the Richter scale. It was no feral cat." 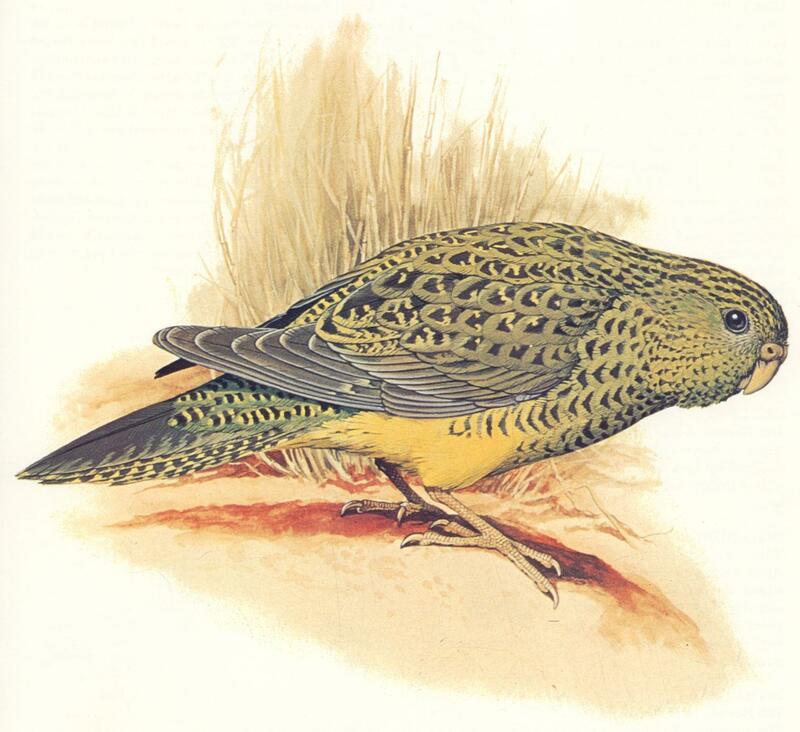 I became acutely interested in studying the dooligahl on Sunday 21st February, 1993 at 11:15 PM after one stood up and ran past me in the bush across from our house. An early influence was scouting, as a cub, scout and senior scout. Our troop leader was a very dedicated and knowledgeable man who, having survived Changi POW camp, was determined to pass on his wealth of experience and bush skills. 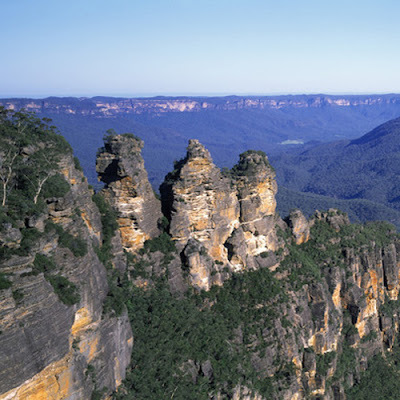 It was during a seven day camp in the remote upper Grose Valley of the Blue Mountains in 1966 that our troop shared a very strange experience over several nights that was with hindsight, most probably a large male dooligahl. From an early age I wanted to be either an astronomer or archaeologist. Grinding my own telescope mirrors later helped me to design and build game cameras. Archaeology was not offered at university at that time, so I studied anthropology instead. Three lengthy trips to Papua New Guinea between 1975 and 1980 provided some field experience that could be applied to a study of these hominoids. Many times, together with family and community members. When activity was greatest, we would typically have up to three encounters per night, every night. Dooligahls, Quinkin and Junjudee because they are three separate hominoid species and they are Australian. One thing that I can be certain of is that anything is possible although, some cryptids are more probable than others. Even though our Australian hominoids appear to be simplistically similar in form and function to other dextrous bipeds from other parts of the world, particularly North America, this does not mean that they are biologically related. However, the contrary appears to be the common assumption. 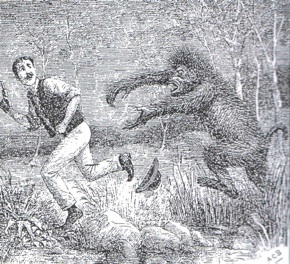 Consequently, basic theories tend to suggest biological links with pongids like Bigfoot, despite the unlikelihood and lack of evidence supporting a viable migratory route. 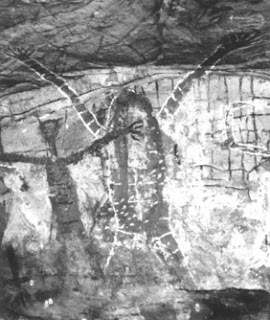 Theories based on hominin migration to Australia are less troublesome because technology and culture can overcome boundaries otherwise faced by apes. However, if assuming that earlier species of Homo were capable of the journey, the problem here is their incompatibility with the observed evidence. For example, their reflective red eyes and superior night vision abilities are not hominid or, pongid characteristics. Alternatively, rather than immigrants, it might be more plausible to think of our hominoids as being indigenous. In other words, several species of marsupial hominoids. This theory scares most people but, it solves many issues, including the need to invent convoluted methods of migration. It is also much more compatible with the evidence, including some of the more bizarre behaviours, like foot thumping, which reportedly occurs in 46 of the 50 extant Australian macropodoid species. Similarly, the elongated legs and feet of some, together with their efficient, high speed locomotion, is typically macropodoid. Since Australia has been moving North in isolation, from a relatively cold and dark environment for the past 40 million years, there has been a considerable amount of biological experimentation. Everyone is familiar with the platypus: an egg laying, fur covered mammal. Some experimentation, like Thylacoleo carnifex, was convergent. This isolationist period is between five to eight times the length of our own hominid evolution. I can't see a problem with this. I have written two boring computer textbooks but, thankfully, I am working on a lengthy case study of our previously resident dooligahl. This varies widely. Sometimes I receive no reports for weeks and then I get several in one day. On average, somewhere between 1 or 2 a week or say, about 75 a year. The most productive time was during the initial period after becoming aware of Fatfoot's existence. It was naive and so it was relatively easy to study it. The only problem was that I was naive too. Consequently, we both learnt from each other with things became more difficult for us both, as we tested and determined each others skills and abilities. In terms of physical proof, it had to be the orange hair samples that we found on the top strand of a barbed wire fence in the swamp. Most probably, yowie pubic hairs. The unfortunate thing was trusting the samples to someone who did microscopic hair analysis and was also a skeptic. The samples were thrown away. Sometimes several hundred meters! Typically these days within the local area. The book, another documentary film and probably a few more talks. 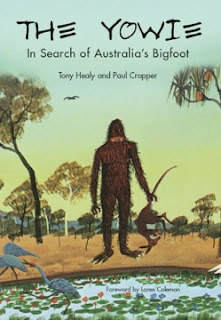 I mainly read science articles and books but "The Yowie: In Search of Australia's Bigfoot" is probably my favourite crypto book. Cryptozoology is a very difficult field of study. No professional scientist will touch it for fear of ridicule, especially if they want to advance, as conservatism and compliance are usually required. Consequently, it is left to "amateurs" with no established reputation to uphold, to do the research. However, it is always rewarding to learn something that very few know. It is essential to form a local network of people who share your interest and are reliable. Sharing information and sources are crucial. Be scientific and critical but, always open minded. Avoid skeptics. These are arrogant and very sad individuals who take pleasure from putting people down. They are valueless and a waste of effort. If your area of specialisation is yowie research, remember that you will not be discovering anything that generations of Australian Koori have already known. Scientists are calling on the public to help with new research seeking greater understanding of the biology of the Giant Australian Cuttlefish to help stop its decline. 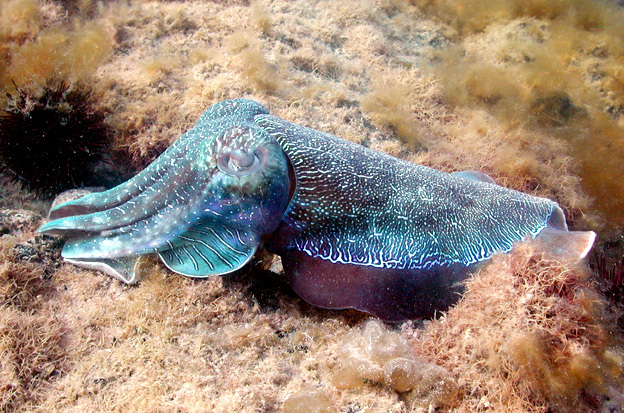 Led by the University of Adelaide, the researchers will study the movement - at several stages of its life history - and the population structure of the Giant Cuttlefish in the northern Spencer Gulf. They also aim to resolve whether the northern Spencer Gulf cuttlefish is a separate species, and develop a model to measure and assess the effects of potential environmental and human impacts on the cuttlefish population. Chief Investigator Professor Bronwyn Gillanders says: "The Giant Australian Cuttlefish is renowned for its extraordinary breeding habits when each winter thousands of cuttlefish gather in a colourful display near Point Lowly to mate and lay their eggs on a small stretch of rocky reef. This is the largest known breeding aggregation of any cuttlefish species in the world." "Historically there were tens of thousands of individuals but there have been dramatic declines since the 2010 breeding season." "As part of this new project, we are asking fishers, divers, boaters and others to report any sightings of cuttlefish and their eggs, especially in the northern Spencer Gulf. Sightings will help determine if the cuttlefish are moving elsewhere to breed and how the distribution and abundance of the population might be changing." The research is supported by Australian Government funding through the Fisheries Research and Development Corporation. The University's partners include the South Australian Research and Development Institute (SARDI), Primary Industries and Regions SA (PIRSA), Department of Environment, Water and Natural Resources (DEWNR), and South Australian Museum. Professor Gillanders says the magnitude of the decline in cuttlefish numbers at Point Lowly has raised concerns about the cuttlefish and highlighted the lack of knowledge about its population structure and dispersal within the northern Spencer Gulf. Most studies have concentrated on the adults focusing around Point Lowly. "The dispersal of hatchlings away from the spawning site and location of sub-adults is currently unknown," she says. "Our earlier research has also suggested this northern Spencer Gulf population may be genetically isolated from populations in the rest of the State, and may constitute a separate species. "If so, there is an even greater imperative to identify the factors behind the decline and to see if any particular stages of the cuttlefish are more vulnerable than others."